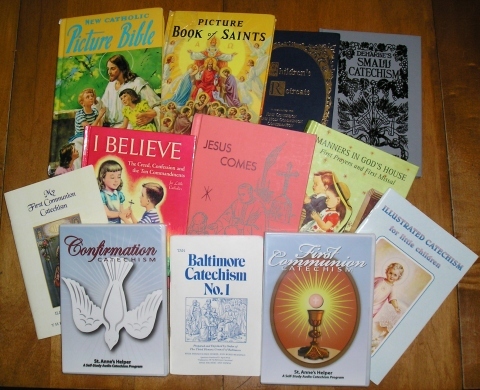 1880s and 1950s Baltimore Catechism audio CDs and booklets. I can remember the first time I read a Baltimore Catechism when I was in my thirties. I wondered, "Where was this all of my life?!" I could have answered Sr. Mary Smartie Pants in tenth grade when she opened up a 4 month long classroom "debate" on abortion. Oh! How I wish that I could have told her what my favorite teacher in college had said, "Abortion is murder." I was so struck by Father's words that I immediately wrote those three words around the margin of my notes - several times! Needless to say, I am very happy to have found traditional Catholic catechisms for our own children. The Baltimore is not as hard to find as it used to be as it is available online and you can buy the booklets from most any Catholic bookstore. 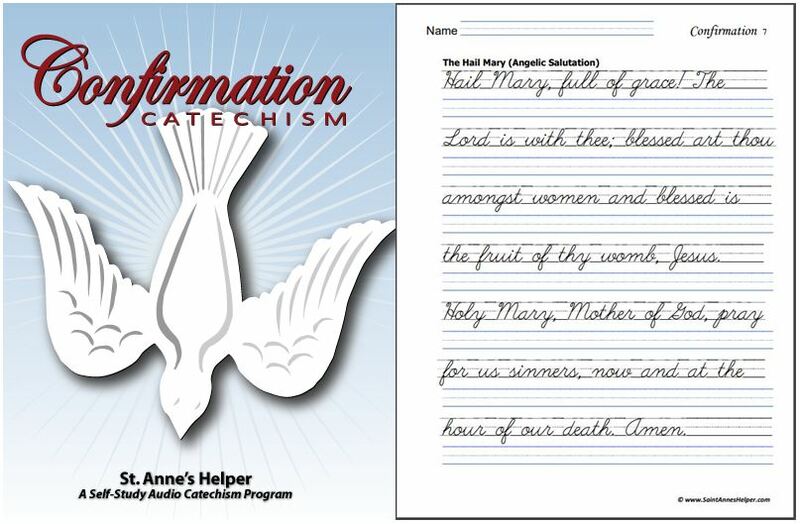 When you're teaching, you can use our Saint Anne's Helper worksheets, audios, and coloring pages to help your students memorize or review. The Baltimore makes common issues plain and simple so that it is easier to know, love, and serve God. But - there are so many versions. Which version should you use? I'll explain the main books in the picture above throughout this page and the BC pages that are linked from this page. Gradually, I'll take you through First Communion and Confirmation to high school and adult level versions of the Baltimore. If you are new to the faith or are teaching children about Communion, the First Communion Catechism is what you want to use. You can see different First Communion Catechisms here. For the prayers and Ten Commandments, an appropriate age to start learning the Baltimore Catechism (BC) is as soon as a child can pronounce the words well. Oh! How hard it can be to correct baby pronunciations later. The Rosary prayers are the main prayers learned for First Communion, plus the Act of Contrition. The old Baltimore teaches the Perfect Act of Contrition, in my opinion the best prayer out there. In my experience most children can learn the prayers by kindergarten and first grade, especially if they learn them with the family Rosary. On top of that, it is very handy if they would know these the year before they study the other questions for First Communion. This makes much less work to do during the First Communion year. Most children learn the questions from the Baltimore Catechism No. O or No. 1 in First or Second Grade (6 to 9 years old). If you have the No. 2, you've got the same info as the #0 and #1 are subsets of the #2. They do not always have to memorize every answer, yet it is important that they know and understand the Act of Contrition, the Hail Mary, Our Father, and the Catholic Ten Commandments for their first Confession. You'll love having these Catholic coloring pages for teaching the sacraments, saints, and feast days throughout the year. 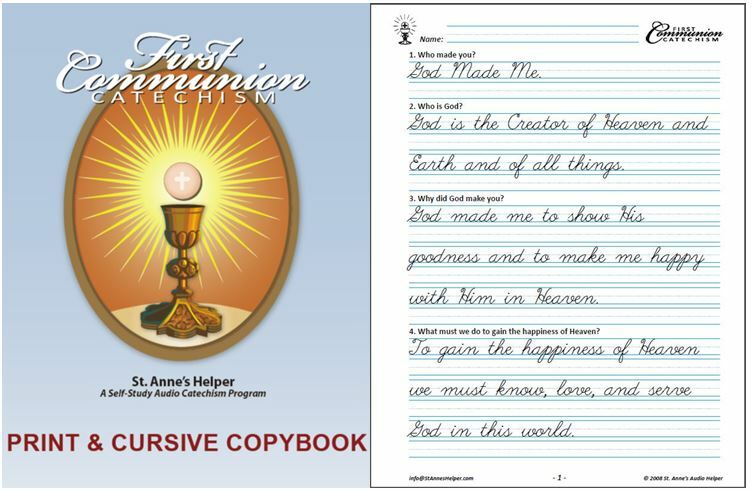 Our Saint Anne's Helper First Communion audio, worksheets, and e-booklets cover the main answers and prayers. If you or those you are teaching have already been Baptized, received Communion, you'll want to use our Saint Anne's Helper Confirmation Catechism. It teaches about the Holy Trinity, the sacraments, and more on the graces on which we can depend every day to be strong in our faith. 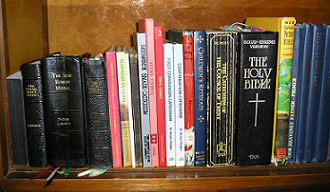 It also reviews the main Catholic prayers and the Ten Commandments. For Confirmation you'll also want to have books on the saints so that you know which patron saint you will choose for your Confirmation name as is traditional, or to know more about your name saint if you will be using your own name. Most saint names have several saints and variations: Teresa of Avila, Therese of Lissieux; Thomas the Apostle, Thomas of Canterbury, Thomas Aquinas, Thomas More, etc. See more about Catholic saints here and Confirmation names here. For Confirmation? The Baltimore Catechism questions on the Blessed Trinity, Redemption, and the questions related to the sacrament of Confirmation are usually required and are found in the BC No. 2. The Acts of Faith, Hope, and Charity. Our Saint Anne's Helper Confirmation audio, worksheets, and e-booklets cover the main questions and prayers asked in Confirmation class. The old Baltimore Catechism is the most widely known, best trusted, and has the easiest answers to memorize. On top of that it has the most beautiful prayers. Baltimore No. 2 - has most of the truths most Catholics ever learn. Baltimore No. 3 - for high school or adults. Saint Anne's Helper Baltimore Catechism: First Communion and Confirmation audio, worksheets, and ebooklets. The New Saint Joseph catechism series may seem old, yet it was first published in 1963. There have been many changes between then and 2012, and I describe them in this three part article with five to ten photos on each page. Until our oldest was preparing for First Holy Communion, I hadn't known anyone that had had to memorize the Ten Commandments. I know that I knew them well enough to make my first confession, but I hadn't memorized them. Looking back I sure wished that I had memorized them before our oldest child started learning them, it would have made it easier to teach her. If you can, do. You'll find teaching this catechism so much easier. I always had to have a copy in my hands before I dared try to say them with her, although maybe that's a good idea anyway. My folks had always said the family Rosary, so I already had known the prayers well. As a family, we did the same for our children. If your children know the Rosary prayers before catechism class, they will already know the main prayer requirements in the BC. The trick here is to be certain that they say the words well. Otherwise, the main thing is to practice saying the answers frequently. Help them to learn the specific wording as it is very helpful in later life to know the full, yet concise answers. Our First Communion and Confirmation downloads can be a huge help to both yourself and the children for review and memory work. They also include a copy to print so you have the actual words handy. Catholic Prayers including the Rosary. The Blessed Virgin Mary, Saint Joseph, and other saints. Original sin, mortal sin, and venial sin. Spiritual and corporal works of mercy. The old Baltimore Catechism had been the basic catechism Catholic Church publishers used in the USA ever since the 1880s. It spared the fluff so the answers were easy to memorize. It was "originally issued by the Third Plenary Council of Baltimore in 1885" (Inside jacket cover, Baltimore Catechism No. 2 , Tan Books). Even today, most BC versions use more good definitions than other popular catechisms: Baptism "is", Confirmation "is", etc. rather than the subjective "What does Baptism do for you?" The numerical order of the questions originally followed throughout the series began with 0 (zero) being a First Communion Catechism. The other levels had more questions and answers as "levels" would require for those teaching children through the school years, as with the Baltimore Catechism No. 1 , No. 2 , and No. 3. The No. 2 has all the questions from the No. 0 and the No. 1. If you're starting to use the BC with older children simply start with the No. 2. It covers all the basics of any Catholic catechism and every question of 0 and 1. Adult converts, or those Catholics wishing to relearn their catechism, would read one of either the No. 3, or No. 4. These last simply go into greater detail and have more questions than the No. 2. Me? I have found the Catechism of the Council of Trent itself or The Catechism Explained were very helpful and would use them rather than the No 3. The BC was founded on the CCT in the first place and this last uses the BC and ads Bible stories, counsel, and historical research. The Baronius Press and TAN Books new Baltimore Catechism editions seem to be verbatim to what TAN used to sell. Pro Multis Media has a verbatim audio CD for the BC No. 1 (see CD and books below). See them below. 3.C. Baltimore Catechism: What is God's Will? The Baltimore Catechism, like any good catechism, teaches God's Will. What is God's Will for me? The BC teaches me to know, love and serve God in order to be happy with Him in Heaven. Being happy with Him in Heaven is why we exist. How do I know God's will for me personally, especially if I should not "interpret the Scriptures" to my own "perdition" as according to the book of St. Peter? Knowing the answers in the catechism and keeping a good spiritual life are the beginning. Obey the precepts of the Catholic Church. These ask us to obey our lawful superiors and practice the virtues. Certitude is as easy as this! This is how we know God's Will. If we violate these, we disobey God's will. Some people spend a lifetime wondering these answers that they could have learned in First Communion class. We learn what God wants through the Catholic Church, so I heartily recommend that even adults read a child's BC to learn the basics. It is wonderful that parents learn the Faith at the same time as their children, yet think how much better it would have been if they'd known before. Do the Ten Commandments, Six Precepts, pray, and practice the virtues. We know His will through the Catholic Church. Jesus formed His Church and the Holy Ghost sanctifies her so we can learn and keep the Faith. Remember that God's Will is adorable and ours is not (often). He honors obedience even to the point of miracles! Think of St. Vincent Ferrer who had been performing too many miracles for the peace of his religious community that his superior ordered him to stop. When St. Vincent saw a man falling from a scaffolding full of bricks he stopped mid-miracle remembering that he wasn't supposed to work a miracle. He left the man suspended while he ran to ask permission of his superior. Of course, the superior said "Yes!" His devoted obedience made two miracles. 3.D. The Baltimore Catechism Gives Certitude! A traditional Roman Catholic catechism teaches the Catholic answers succinctly with definitions. There's little fluff. If you need the answer, you can often find it in one sentence. Also, it is objective. Instead of asking in a subjective manner: "What does Baptism do for YOU?" or "What does Confirmation do for YOU?" (These sacraments essentially do the same thing for YOU as they do for EVERYONE who is well disposed!) the BC answers ask and teach "What IS Baptism?" and "What IS Confirmation?" You'll know the objective answer. Most Baltimore Catechism versions give objective answers that give certitude. No more wondering what to do. Certitude, knowing for certain what I should do, is a real blessing. Subjective answers cannot be easily universalized, yet objective answers can be related to the subject's own life at any time. Once you know the definition you can think well independently without the searching that is so prevalent today. Truth is truth and always concurs with truth! If you're teaching others I hope that you'll make the Baltimore Catechism the basis for your Religious Education program. Through the years, there were revisions to the catechism answers, only a few of which were good. The Jesus Comes version from the 1950s is what traditional Sisters used to teach our children about Communion. They required that our children memorize the answers. 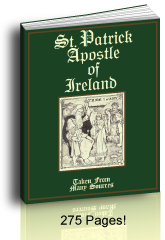 It was their insistence on this version that lead to our Saint Anne's Helper Catechism downloads. They have the singular answers to the confession questions and the better Catholic answers that have been changed in the BC through the years. The Confraternity for Christian Doctrine (CCD) approved the Jesus Comes version of several BC answers that had needed some precision (1917 Code of Canon Law), especially in light of growing errors of evolution and corporate guilt/confession in this last century. Jesus Comes has the best answers. It also has wonderful short lessons for children on the related Bible stories. Even the pictures are modest and edifying. Questions such as "Who made the world?" was made more specific as "Who made you?" The question "Who is God?" is teaches that "God is the Creator of Heaven and earth and all things." This is a great help against the error of evolution that is so slippery in our time. The Confession and Penance answers are much better, too, in that they use singular answers ("we" do not have one conscience). As above, the best book we have seen for a First Communion Catechism is Jesus Comes (available at Amazon), from the Our Holy Faith series, Vol 2, re-published by Neumann Press and now owned by the new TAN Books. See more First Communion catechism explanations here and the differences in the answers here. The Baltimore Catechism is based on the Catechism of the Council of Trent. The Confirmation questions have had fewer changes throughout the years; yet here is one to watch in your catechism: the BC says that Holy Chrism is made of olive oil. The Catechism of the Council of Trent goes further to say that it cannot be "just any" oily greasy substance. That's a certain definition, so it's a good sign of a catechism that you can trust. More Confirmation catechism explanations here. Actually, the Baltimore was based on the early Catechism of the Council of Trent (CCT) that took many years to publish. Why? The CCT was not widely available, especially in English, till the late 1880s. The Catechism of the Council of Trent is the definitive catechism that the Church created with purpose to be the catechism that all could use. Pope Saint Pius V helped start it and Saint Charles Borromeo helped finish it. Pretty good recommendations there! One can go blind sorting through the many variations called the Catechism of the Catholic Church, so it's good to read the Catechism of Trent as it is a definitive catechism that no one refutes. I learned many new things in it and found it to be easy to read without the question and answer format. Learn more about the Catechism of the Council of Trent here. You can buy this catechism at Amazon. Deharbe's Catechism is an excellent catechism that was translated into English before the Baltimore. While the Church was getting the Catechism of Trent published in different languages, the United States needed the catechism in English. The BC is what the Bishops in Baltimore produced to answer this need and was first published in 1885. 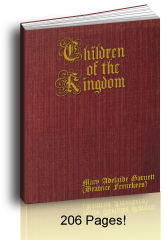 It is similar to Deharbe's Catechism which was translated from German at the same time, again filling the same need. It is not a German catechism specifically, yet the Baltimore was not available at the time Deharbe's was translated into English. The earliest version I have seen has Cardinal Wiseman's Imprimatur from 1862. I found it to have been better in a few places than the old BC, because some of the answers were better. Deharbe's Small Catechism is excellent for second through sixth or eighth grade. Deharbe's Large Catechism is comprehensive for seventh through twelfth grade. It was translated for the English and Americans from the German catechism in the 1860s and 1880s. I found no confusing places in either Deharbe's Small Catechism or the Large. The Catechism Explained can be bought at Amazon and is a wonderful book that explains the Baltimore Catechism in a way that priests and other adults can use as a reference. Depending on your students' reading level this also makes an excellent high school catechism as it incorporates Bible study, saints, liturgy, and some church law into religion class. I like it much better than the BC No. 3, precisely because it adds in Bible and saint stories. As old a book as it is, it is nice to see it has an excellent index, which makes it so much easier for you to research real life issues. Rare for a book at this time! You can buy it at Amazon here. In conclusion, I'd like to add that even though there are many versions of the Baltimore, the above books are the best and most concise that we have been able to find for teaching the Catholic faith. Lower school and auditory learner students can learn from an audio catechism. Older students can practice writing and spelling the answers while they also practice handwriting on these printable manuscript and cursive worksheets. Adults can learn the answers and prayers while driving or doing light chores by listening to the recordings. We have audio downloads, copywork, and booklets for First Communion and Confirmation. They use only the best Catholic questions and answers. See our Saint Anne's Helper products here. The Baltimore Catechism No. 1 a TANBooks classic!